* Mocking is not an option since you want to test the actual system. * There are some in-memory implementations, like H2 or HSQLDB for relational databases, but there are still subtle differences to your production system and not all datastores have in-memory cousins. * Using the actual datastore in your tests is possible, but managing it, running tests in parallel,... is far from ideal. Philipp lives to demo interesting technology. 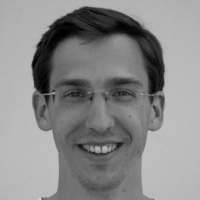 Having worked as a web, infrastructure, and database engineer for more than ten years, Philipp is now working as a developer advocate at Elastic ? the company behind the open source Elastic Stack consisting of Elasticsearch, Kibana, Beats, and Logstash. Based in Vienna, Austria, he is constantly traveling Europe and beyond to speak and discuss about open source software, search, databases, infrastructure, and security.